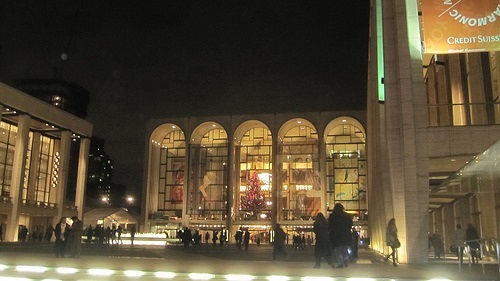 As we reported in brief a few days ago, the agreements reached by the Metropolitan Opera and three of its major unions have a stipulation that experts say is unprecedented in any industry. The agreement includes a clause that an independent financial analyst, who was used in the negotiations, will monitor agreed-upon cuts and spending and provide both sides with financial information that will inform their future negotiations. Lois Gray, professor emeritus at Cornell University’s school of industrial and labor relations, commented, “Here in the U.S., unions normally focus on negotiating their pay and working conditions only, not on the managerial decisions about where other cuts might come from or how to manage the business in general,” suggesting that the provision may ripple out to other arts organizations. The orchestra union set the stage for this by presenting to Met officials and to the public a long proposal for $31 million in alternative cost savings. This likely ultimately led to Met signing on to the principle of “equality of sacrifice,” with the Met cutting $11.25 million in expenses and the workers also taking a smaller cut than the Met had originally proposed.